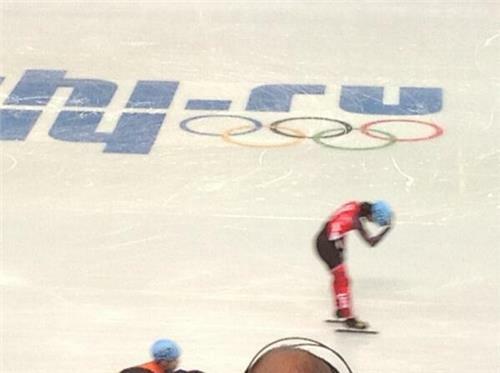 Unfortunately no Canadians in the men's 1000m finals. Tough break for the Canadian Short Track speed skating team. Good day for the Russian short track team though. 3 Russian men qualified for 1000m Semi-Final. GOOD MORNING CANADA! You're up just in time for some crazy short track speed skating action! 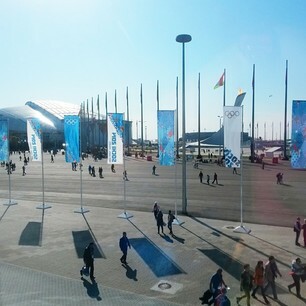 It's a gorgeous day in Sochi today (about 18 degrees Celsius)....practically summer weather. Definitely not looking forward to the Toronto blizzards I'll be coming home to in a week. Drolet is up for Canada in the 1500m semi-finals! Hold your breathe Canada!! We're looking for the first two to cross the ice.. they will advance to the final. This is shaping up to be a very disappointing day for our speed skaters. All eyes are on Maltais who will be up in the next race. Fontana (ITA) and ters Mors (NED) move on to the final. And Maltais does not move on to the final..waiting for official results. Li (CHN), Kim (Kor) and Scott (USA) move on to the A final. Scott was advanced. Drolet and Maltais now on to the B Final.. out of medal contention. No medals for Canada in short track today. Coaches and athletes are all looking disappointed. Disappointing day for the Canadian Short Track Speed Skating Team. 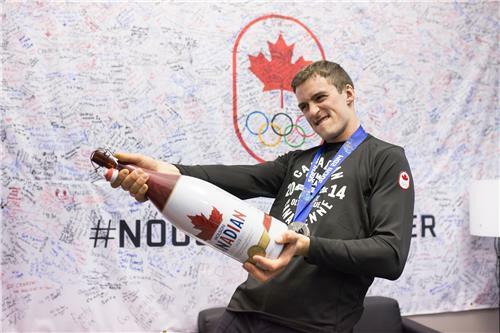 This was Denny at Canada Olympic House the other day...such a troublemaker, and so hilarious.